THE INEVITABLE JOURNEY - DEATH. Without doubt, all of us will end this journey in life by dying. However, before we enter our final abode in the hereafter, we will all spend time in an intermediate life in the grave (al-Barzakh). May Allah (SWT) grant us refuge from the punishment of the grave. Amen. The Muslim burial plot is isolated from the other parts of the cemetery and used exclusively for Muslim burials. Burial arrangements at this plot must be made through the Islamic Shoura Council of Bakersfield. If you would like to make burial arrangements, please send an email to inquiry@iscob.org or contact one of the Mosques directly using the information provided in the "About Us" section of this website. 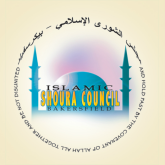 The Islamic Shoura Council of Bakersfield does have qualified individuals and access to facilities to ensure a professional and Islamically correct handling of the entire process. The cost for the entire process for an adult is typically $2500.00. The cost for an infant is typically $1500.00. However, these prices may vary depending on some variables. The fees charged are used to pay the expenses (transportation of body in hearse, casket, use of wash room at Hillcrest, burial plot, grave marker, etc., etc.). The Islamic Shoura Council of Bakersfield provides all of its services on a purely volunteer basis. Financial assistance is available for those who qualify. The community should be aware that the current agreeement with Hillcrest is expected to expire in the immediate future. At that time, the price for an adult burial will more than double in price from $2500.00 to approximately $5,500.00. We are exploring the possibility of opening and operating a new, independent facility. If you are interested in contributing money to this effort, please click on the "Donate or Pay Zakat Here!" tab in the lower left of this page and then choose "Cemetery - ISCOB." If you are interested in providing other resources or assistance, please let us know at: inquiry@iscob.org.